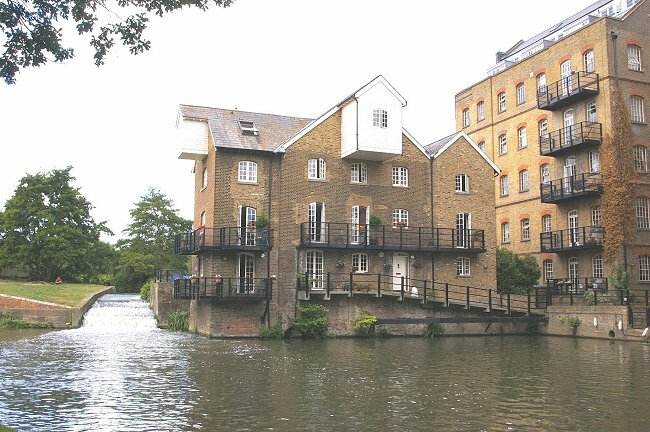 View of Coxes Mill from the south in 2007. 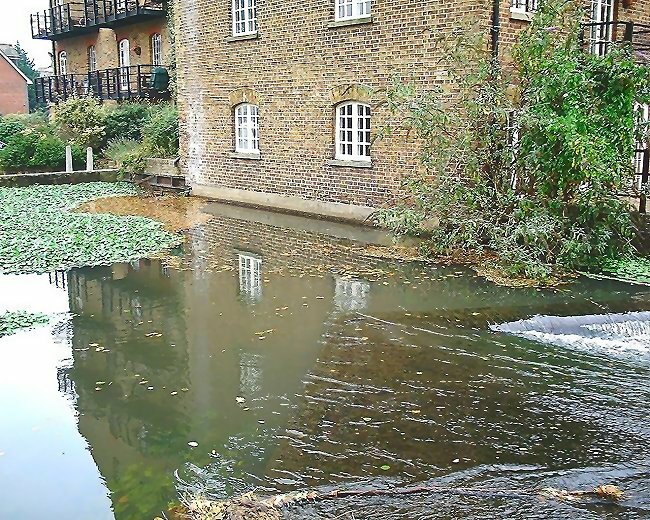 Where Coxes Mill pond meets the mill. 10th October 2007. One of the inlets that took water into the mill to drive a waterwheel. 11th April 2008. 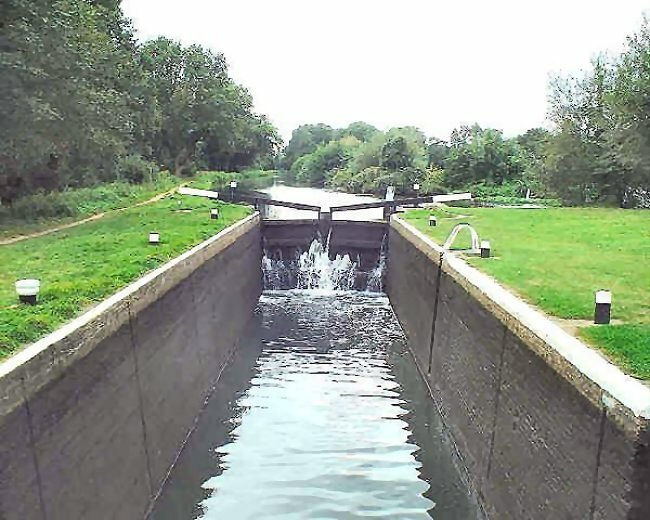 In the 1890s a water turbine was installed to drive the machinery. It was capable of developing 40hp. Another of the water inlets. 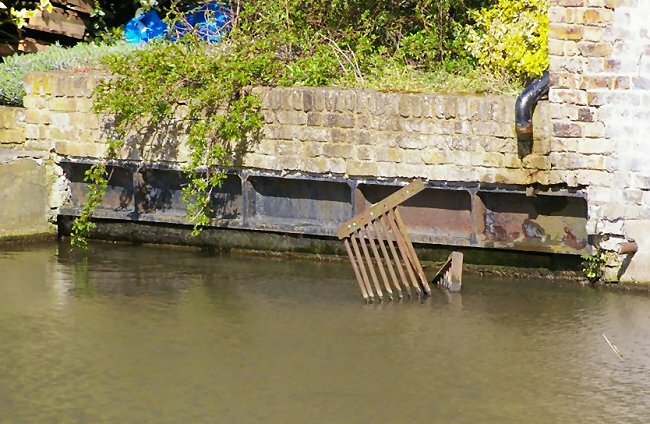 This one adjacent to the weir that maintains the mill pond water level. 11th April 2008. 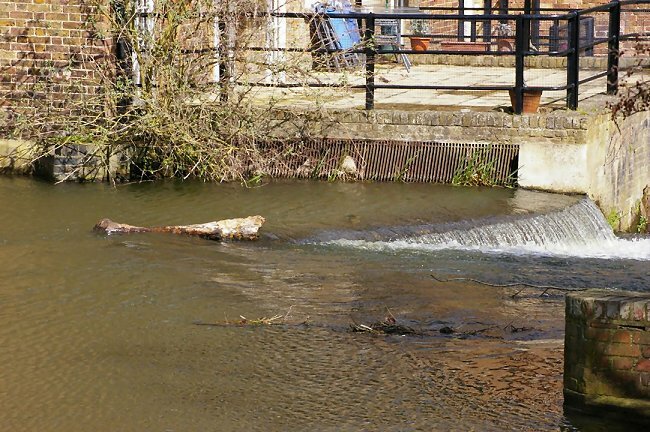 The overflow from the mill pond. 10th October 2007. 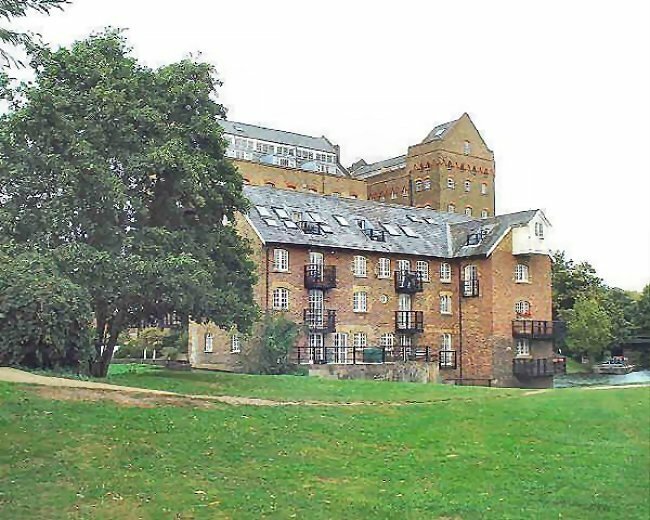 The mill was modernised from time to time. A stationary steam engine was introduced and replaced water power. In more modern times steam was replaced by electric motors. 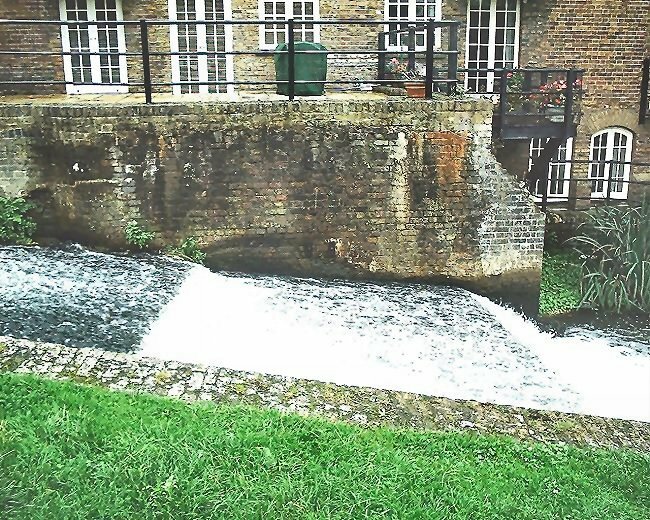 The overflow from the mill pond cascades down to the River Wey Navigation. 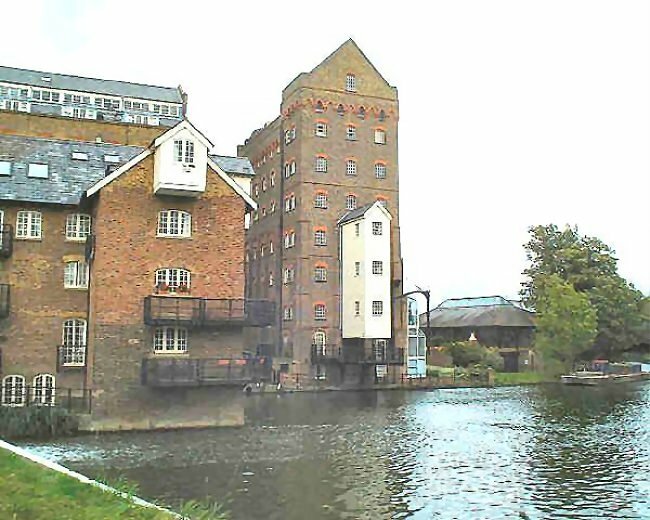 In this picture there was at one time a waterwheel on the far side of the wall. 10th October 2007. 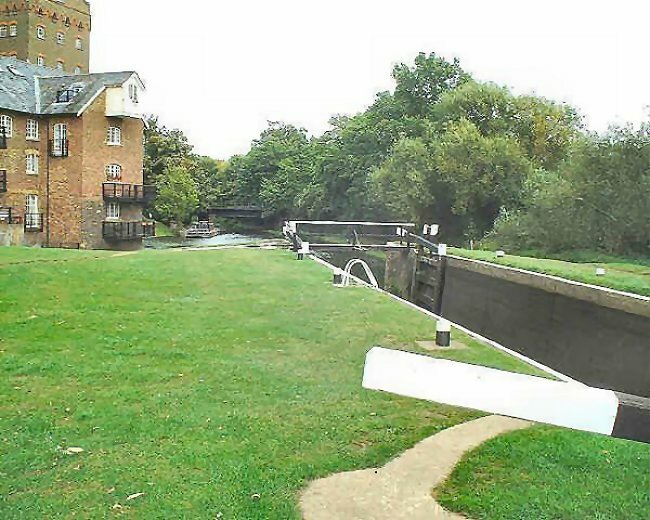 The view of the canal lock, looking towards Guildford in 2007. 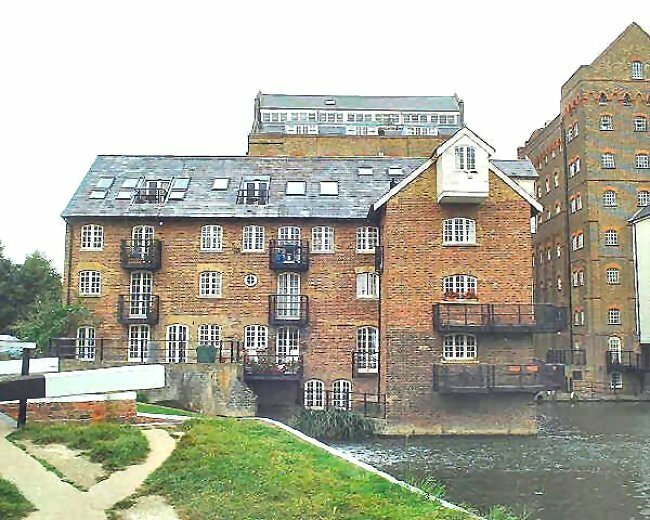 This view of Coxes Flour Mill was taken from the canal in 2007. It shows the scale of these former industrial premises. View from the south-east in 2007. 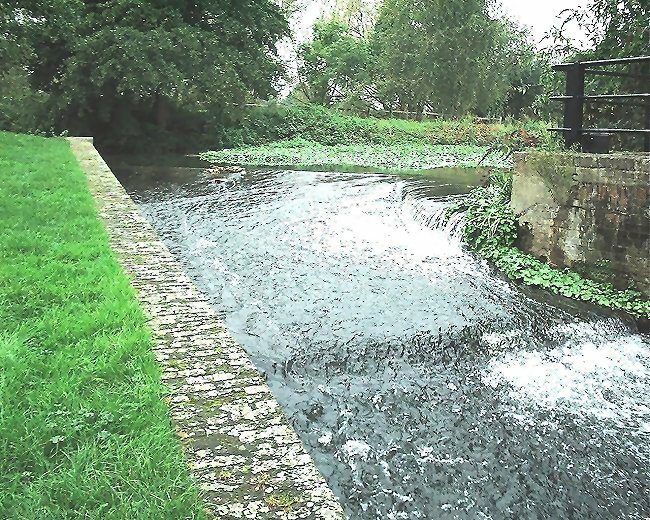 The sluice to the left of centre of this picture comes from the mill pond and empties into the canal. 5th July 2010.